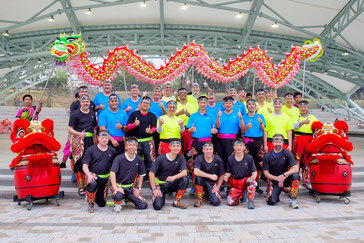 "I can't thank you and your team enough for the wonderful corporate teambuilding events organized. Everything went so smoothly and everyone enjoyed themselves. 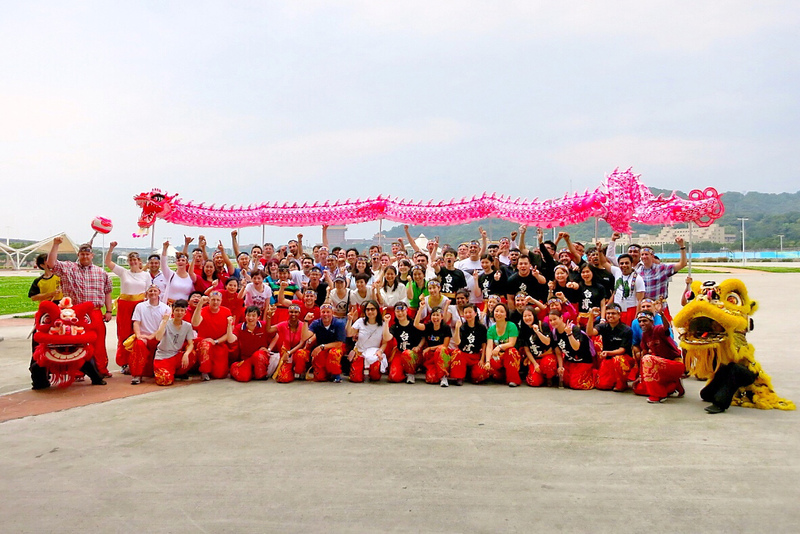 Please help me thank your team and the dragon dance folks, everyone was awesome!" Get set for a very special oriental team building event with the famous professional live Dragon & Lion Dancing performance plus team building workshop session learning the traditions & movements required to operate the famous Dragons! 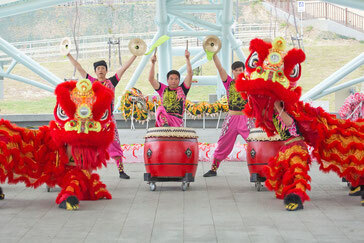 Dragon Dancing is a form of traditional dance and performance in Chinese culture. 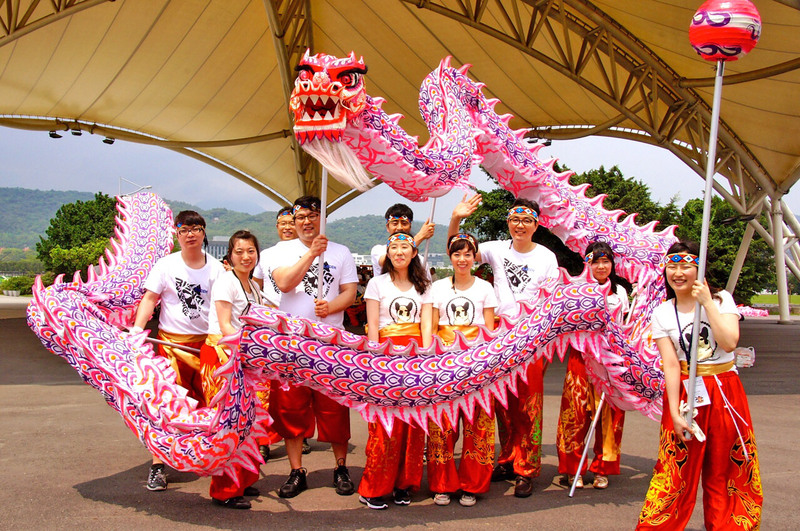 Dragons are believed to bring good luck to people, which are reflected in their qualities that include great power, dignity, fertility, wisdom and auspiciousness. 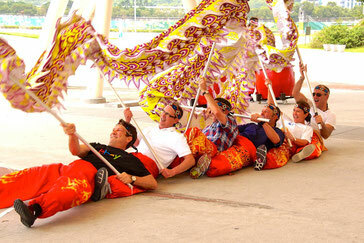 The Dragon Dance requires tremendous teamwork to bring the motionless body to life. The dragon itself is a long serpent shaped body on poles, assembled by joining a series of hoops on each section and attaching the ornamental head and tail pieces at the end. 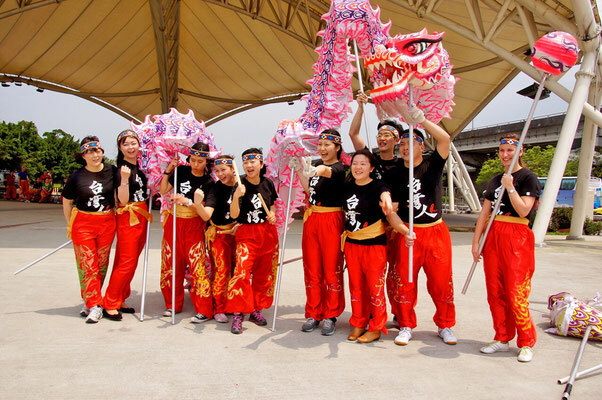 The correct combination and proper timing of the different parts of the dragon are very important to make a successful dance. 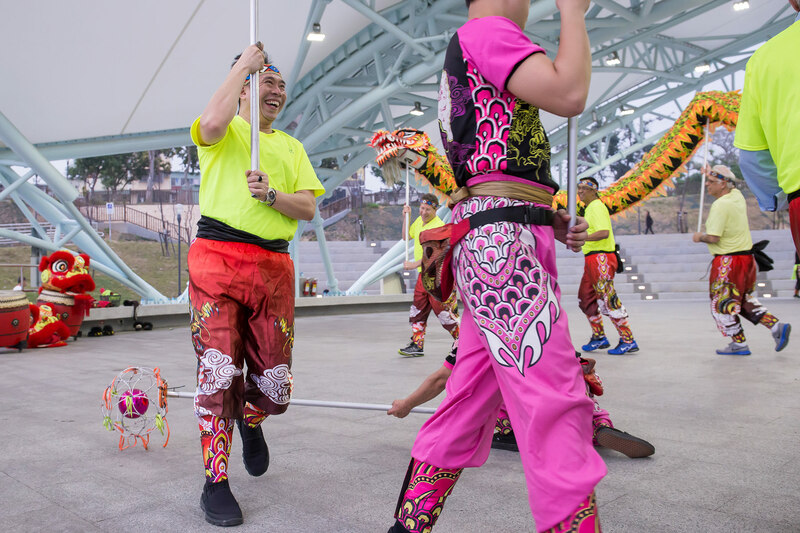 To be very successful, the head of the Dragon must be able to cooperate with the body in combination with the timing of the drum all of which requires strong teamwork, communication and trust from all team members! A fun, creative and artistic team building event that is always popular and sure to be a great hit with your clients and team! 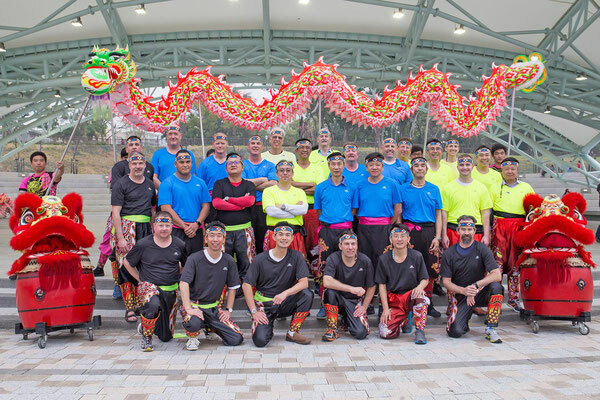 With participants wearing special Dragon Dancing trousers and headband, we commence the colorful Dragon Dancing Team Building Workshop with an impressive 15-20 minute performance by our professional team which entertains and showcases the majestic movements possible with the mighty Dragons! 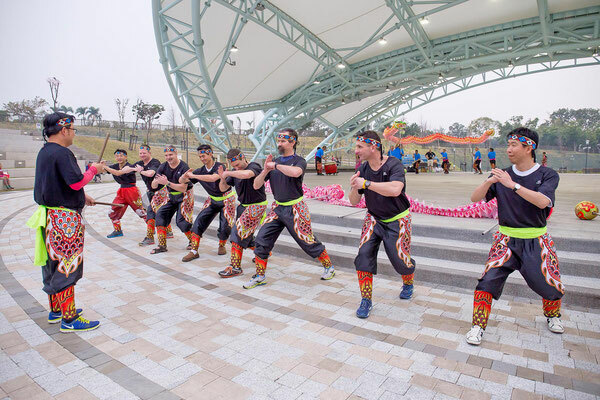 After further briefing, participants breakout into teams of approximately 9-12 members per dragon to learn the 8 basic movements of the dragon and drumming techniques from a professional dragon dancing instructor & facilitator. Next teams start customizing their own Dragon Dancing performances to be delivered towards the end of the workshop to the whole group. 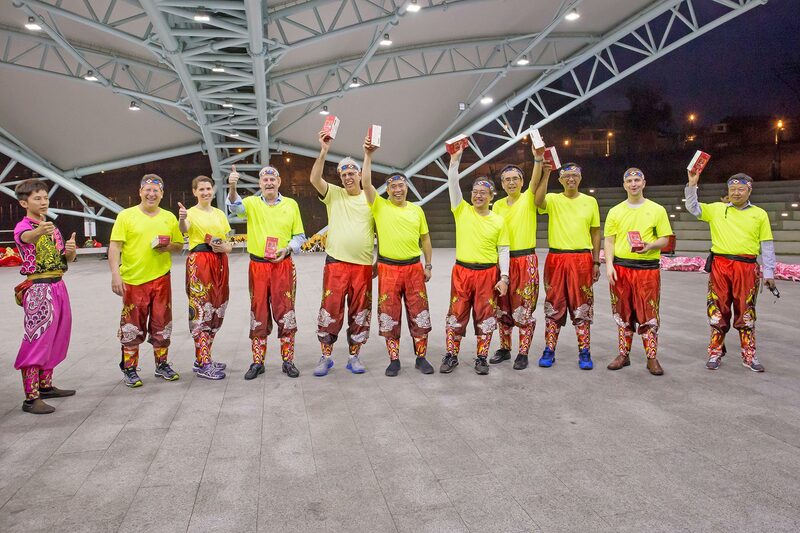 Teams are encouraged to be as colorful, spontaneous and creative as possible to deliver their most impressive performances! 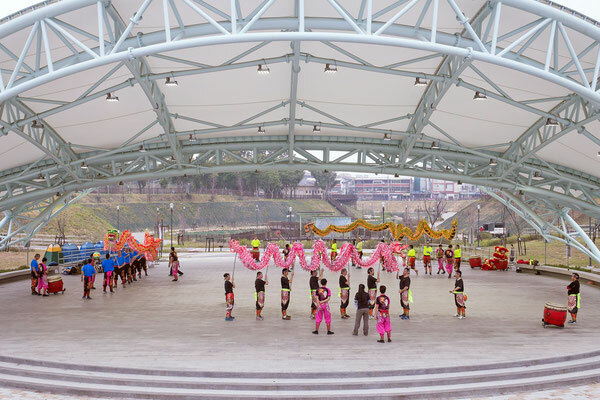 Each team is carefully judged by members of the professional dragon dancing troupe to determine the Grand Dragon Dancing Champions with awards and prize giving for the most coordinated and creative performances! This workshop can be further customized to include a nice lunch or dinner during the final performances or post event. Dragon Dancing is typically suited to teams of 20 or more participants and depending on group size requires a medium-to-large sized area to operate. Whilst be most suited to outdoor locations the team building activity can also be arranged indoors where suitable. 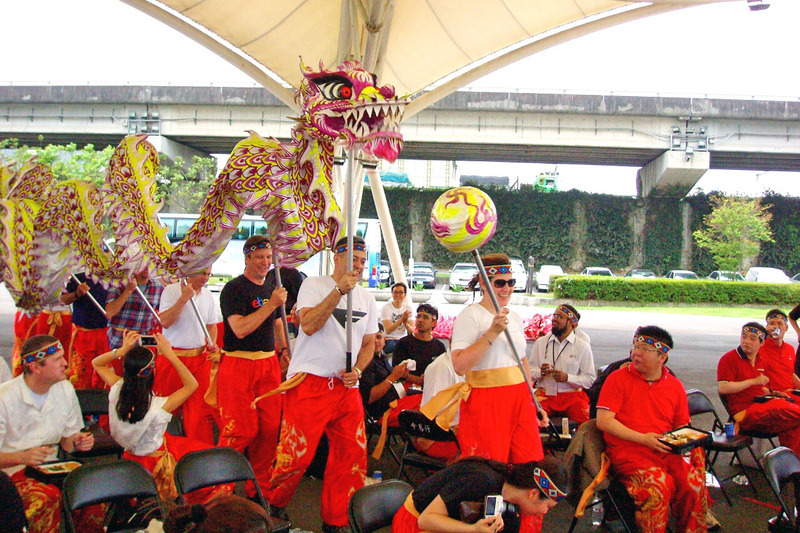 Bangkok is a great Dragon Dancing venue with the energy and excitement of the city that adds flavor to the activity. 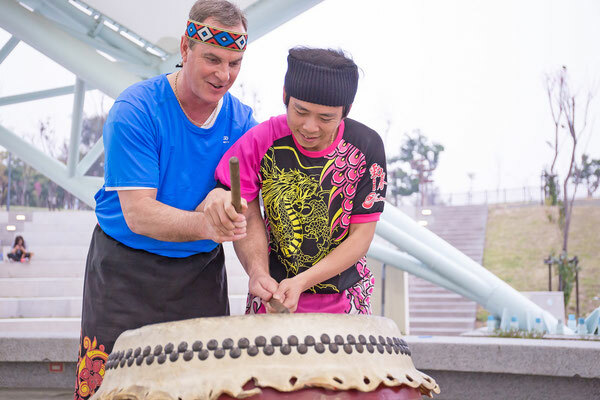 Additional popular venue locations include Chiang Mai, Phuket, Hua Hin, Pattaya & Krabi. 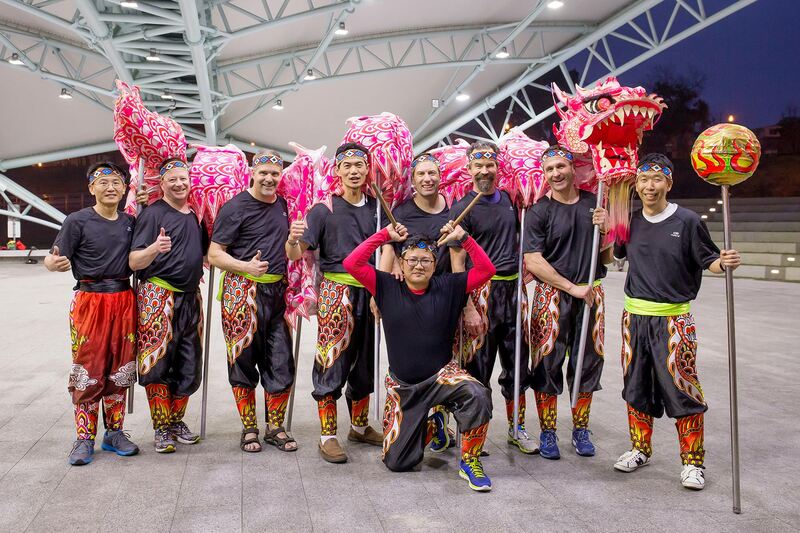 In fact wherever there is suitable space we can deliver the famous Dragon Dancing Team Building Event to ensure a fantastic day of learning & fun for your team! 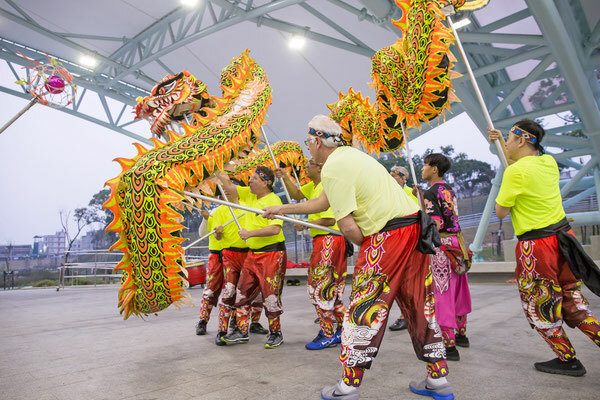 To learn more about the famous Dragon Dancing Team Building Workshop, event locations near you and pricing please contact us. 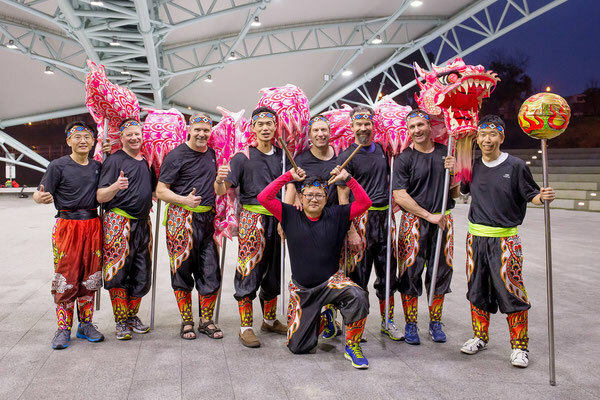 Dragon Dancing is always a popular & well received team building activity suitable for all groups, levels and requires no previous experience. Get excited for a great event and power up your team with the fun and highly entertaining Dragon Dancing Team Building Workshop!